You know the drill. The Multiversity is the best thing DC has published in all of 2014 and is quite possibly the best series of the year. We've told you this a lot, and we will continue to tell you. This month features Frank Quitely on art alongside Grant Morrison's superior writing. Did we mention that this month's issue features the creative team's take on the Watchmen world? Yeah. If you buy nothing else this week, you damn well better have The Multiversity in your hands when you leave the comic shop. Okay, Guardians. You're finally done with your Original Sin tie-in...only a few months late. This storyline is your last chance before we drop you for good. What began as a fantastic comic with even better art has meandered into a collection of isolated incidents as opposed to an over-arching story. 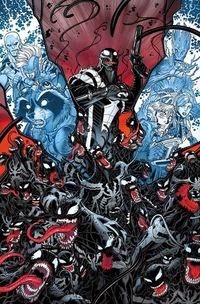 The latest story begins here and features the debut of Venom's home planet. An interesting concept to say the least. Hopefully Bendis doesn't screw this up. We talk quite a bit about how much we love the work of Josh Williamson here on GeekRex (Ghosted, Nailbiter, and brand-new series Birthright). Something else we have all been enjoying? 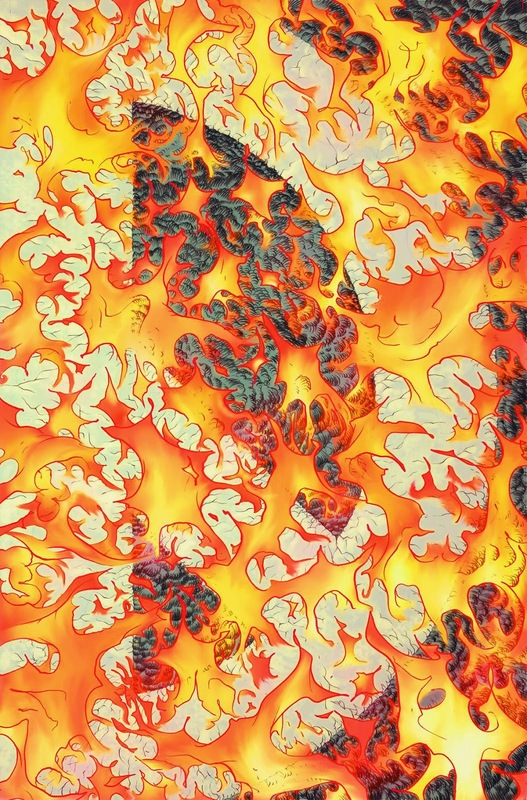 Dark Horse's Fire and Stone series of comics. 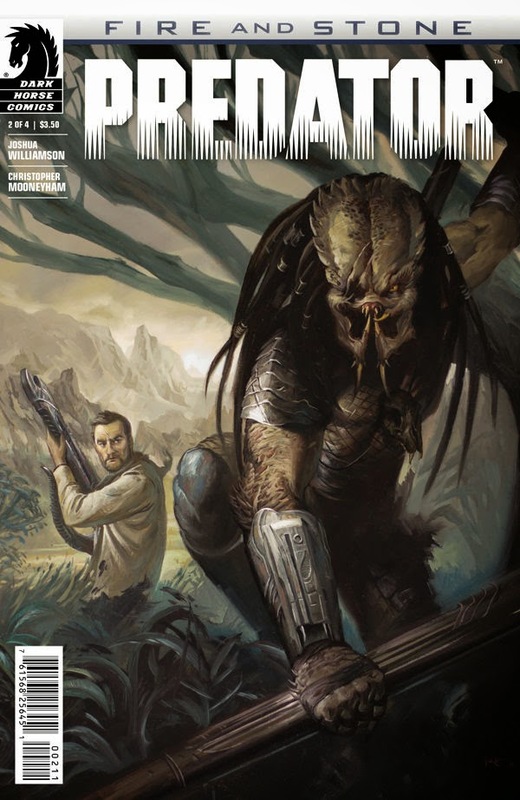 Predator continues this week, seeing Galgo, the anti-hero of Prometheus, partnering up with a seasoned veteran of a Predator to hunt down an Engineer. If that doesn't at least get you a bit curious, then nothing will. 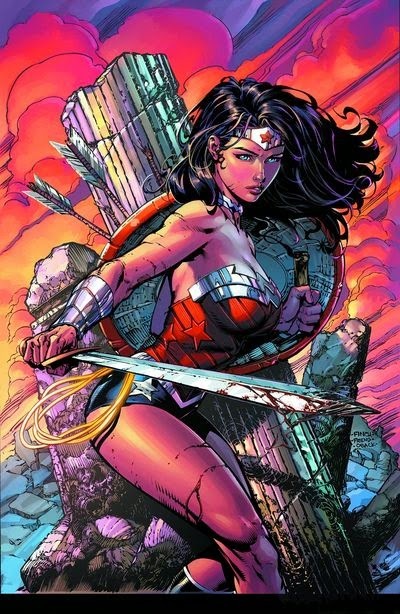 We were all huge fans of Azzarello and Chang's run on Wonder Woman. Their run will easily go down as not only one of the defining runs on the character, but one of the better series of the New 52 as a whole. This issue is a fresh start for the series, and, much like this week's Guardians, we're trying to remain cautiously optimistic. At least a female writer (Meredith Finch) makes for some nice diversity at DC, but we're not sold on her vision for the character just yet. With the 8th Series of Doctor Who done, we're already having withdrawals. Luckily Titan Comics still has its line of Doctor Who books to keep our appetites sated. 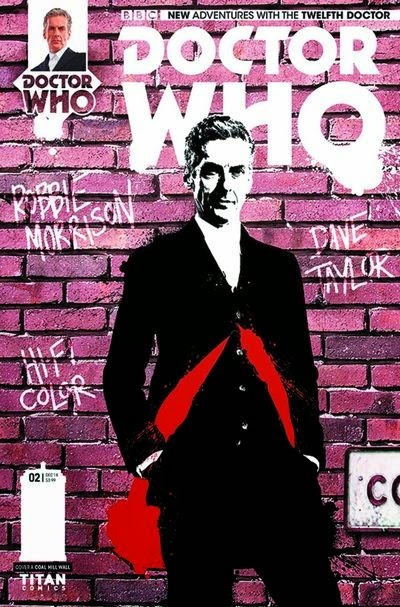 The Twelfth Doctor series features easily the best art of the three available books and we're desperate for stories featuring Peter Capaldi's incarnation of the Time Lord. If Clara really is leaving us this Christmas, it's a good thing this comic will feature adventures between the two for the time being. We here at Geek Rex - like seemingly everyone alive - love Brian K. Vaughan and Fiona Staples' science-fantasy Image series, Saga. 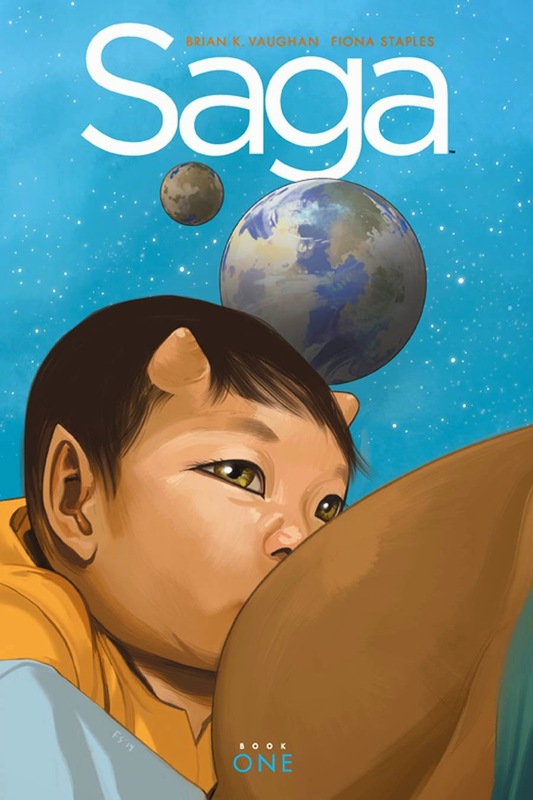 While Saga has been running for over two years now, thus far, Vaughan has resisted releasing one of the gorgeous hardcover collections Image Comics has become known for. Thankfully, this has changed, and just in time for the holiday season! Saga tells the story of Alana and Marko, soldiers on opposing sides of a vast cosmic war who fall in love, elope, get pregnant, and find themselves hunted across the galaxy by a bevy of intriguing aliens. Vaughan's story is epic in scope, but he always does a good job grounding the series in his strong core characters and their ever-growing supporting casts. From Alana and Marko's ghostly babysitter Izabel to Prince Robot IV and the bounty hunters he hires (like the chilling The Stalk, brought to grisly life by Fiona Staples' lovely design work, or the exhausted The Will and his partner Lying Cat), Saga is rich with genuine oddity and a surprising amount of heart... in addition, of course, to some of the best drama, action, and art available in mainstream comics today. The series has courted controversy from minute one, and its creators aren't backing down now, with a cover clearly intended as a big middle finger to those who complained about the breastfeeding on the debut issue's cover. But Vaughan and Staples have typically come out on top of most of these fights thanks to some strong characterization and gorgeous, sophisticated art from Staples. Check out Saga, Volume 1 today at your local comic shop or In Stock Trades, or in next week at Amazon.com and other online retailers. Saga: The Deluxe Edition Volume 1, by Brian K. Vaughan and Fiona Staples. List price 49.99, the hardcover brings together the first 18 issues of the series, three complete story arcs.